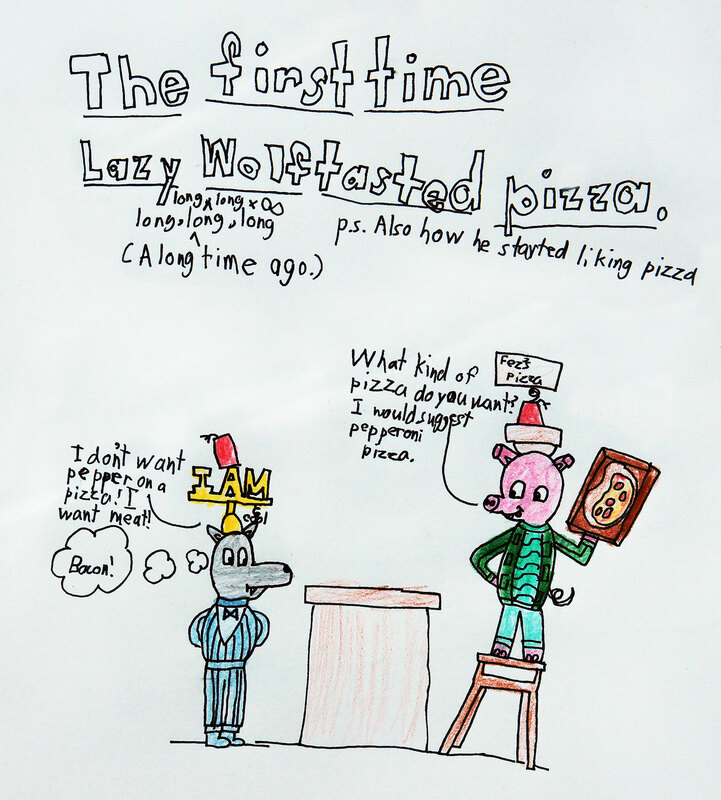 Pizza Pig: What kind of pizza do you want? I would suggest pepperoni pizza. Lazy Wolf: I don’t want pepper on a pizza! I want meat! Previous Previous post: There’s a wolf eating tacos in Australia!